I like learning about things, especially weird and intricate and insular things. The Internet has allowed people of all different kinds to find each other, and has given strange ideas the opportunity to find a cult following. Today I'm starting a series of posts on these niche communities, many of which I have been privileged enough to personally experience. They range in size from thousands of individuals to a scant few dozen. Welcome to the niches of the world. The first community we'll examine is the Lila Squad, the dedicated philosopher-fans of Robert M. Pirsig's 1991 Lila: An Inquiry Into Morals (and to a lesser extent its bestselling 1974 predecessor, Zen and the Art of Motorcycle Maintenance). I wrote about them a few years ago, investigating their community and the LessWrong community. To quote from Dr. Anthony McWatt's introduction on the subject (and as the only person to obtain a philosophy PhD through his study of the Metaphysics of Quality, he's probably the most-qualified guide), the Metaphysics of Quality is a "metaphysical system" - a way of thinking about the world - built on the "postulation that everything is a type of value." This value, the eponymous "Quality," is described as a universal trait. The difficulty of subjective assessment and cultural bias is dealt with by factoring in "cosmological evolution," "attempting to place morals on a more rational and impartial foundation." So what is Quality? What is the value that is trending upwards in this process of cosmic evolution? Alas, this is a term that goes conspicuously and specifically undefined. Robert Pirsig identifies this, in fact, as the reason why the Metaphysics of Quality has been generally ignored by philosophers, saying "Most academic philosophers ignore it, or badmouth it quietly and I wondered why that was. I suspect it may have something to do with my insistence that Quality not be defined." Quality, like the Buddha-nature and the Dao (both referenced and influential on Pirsig's work), has a no-thingness quality. It's not nothing, but neither is it a thing. Is it immoral, as the Hindus and Buddhists claim, to eat the flesh of animals? Our current morality would say it's immoral only if you're a Hindu or a Buddhist. Otherwise its OK, since morality is nothing more than social convention. An evolutionary morality [like the Metaphysics of Quality], on the other hand, would say it's scientifically immoral for everyone because animals are at a higher level of evolution, that is, more Dynamic than are grains and fruits and vegetables. Another concrete example is when Pirsig talks about how he has proven that there is an "objective Quality" to his students, by having them all review each other's papers, four a day for many days, and then showing them that their assessments all tended to match up. They can't define Quality, but they all know it when they see it and agree on it. 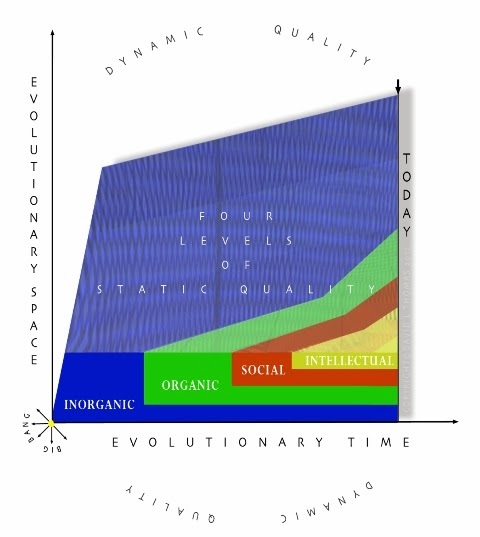 Against a destructive background of "dynamic quality," the evolutionary process slowly pushes towards greater quality along all four types, while the proportion between them gradually increases towards the higher levels. The cosmos is gradually becoming more full of Quality, and that Quality is getting more advanced. Let's briefly talk about criticisms, and then talk about the Lila Squad. Evolution isn't progress. That's a mistake that's been made by generations of dilettantes and eugenicists. Evolution is the continued adaptation of organisms to their environment. There's no direction to evolution. If a carbonaceous meteor burned up in the atmosphere and drastically increased the amount of CO2 in the air, then the animals that survived - including humans - would be the ones that were best at breathing a lot more CO2 (at least long enough to pass on their genes). This wouldn't be "dynamic quality" and its destructive influence, except inasmuch as humanity places a higher value on the ability to create a great painting or engineer a new polymer than it does on the ability to successfully breathe more CO2. And that is what Quality really is... stuff people like, which can't really be defined because it isn't really much more than the conglomerate of current fads and historical trends. Pirsig tries to squish together the ideas of no-thingness - the Way that cannot be spoken - and this vague indefinable stuff-people-like. But the Tao is defined as non-definition in a deliberately counter-intuitive way, and so while Pirsig interestingly talks about no-thingness in such work as his essay "Subjects, Objects, Data and Values," he never convincingly marries the two. I sometimes see you as a group of surveyors at the edge of a kind of intellectual wilderness. You're all engaged in a creative activity rather than just sitting back parroting and dissecting old masters. This is real philosophy. I can't tell you where to go because I don't really know for sure myself. And if I did, I probably shouldn't tell you anyway because that might spoil all the Dynamic adventure and excitement this wilderness offers. The Lila Squad, which is now more commonly known as MOQ_Discuss (after their newsgroup), remains and is fairly vigorous. It has a dozen intensive and long-term contributors, and a wider group of readers and occasional commentators. Here's a sample of a conversation between two people (who I won't name here for the sake of their Google results, except that they're both Davids. David 1: [Your idea of MOQ is too] much like idealism, I prefer concepts are a higher form of SQ, real but at a level above pre-conceptual SQ, there is inanimate SQ, animate and living SQ, cultural and conceptual SQ, all real, some pre-conceptual and cultural, some not. 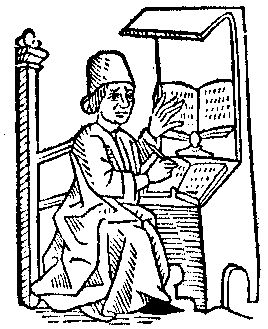 David2: Reality is flowing and undivided but words chop it up and concepts are divisions. David 1: Yes but two fingers together being experienced have a joined up pattern, they stand out in experience due to their SQ, they stand out from the flux, we add further SQ to this with concepts and make the division from the flux more fixed and abstract, but there is clearly an experience that is had prior to the move to conceptualise and speak of these patterns. David2: The analytic knife cuts it up well or badly. And these divisions and categories are so well carved that we mistake them for reality itself. That's what SOM does to subjects and objects. That's what scientists do to gravity and causality. These dialectician don't know that these are just analogies and they don't know that everything is just an analogy. David 1: Your view suggests that we are capable of not spotting that we have hands, we might carve up experience and ignore the experiencial reality of similarity between hands, this is both laughable and is anti-realist absudity. David2: The MOQ is one giant anti-reification program. DQ reality isn't nothingness. It is no-thing-ness. Why? Because DQ is preconceptual and all "things" are concepts. It seems that you and [other contributor] Marsha want there to be DQ, sq, AND also things like tomatoes and wooden ships. And so on like that. It is fantastic - a sort of amateur philosopher fandom, arguing about a new way of understanding the world. There is a problem, however. 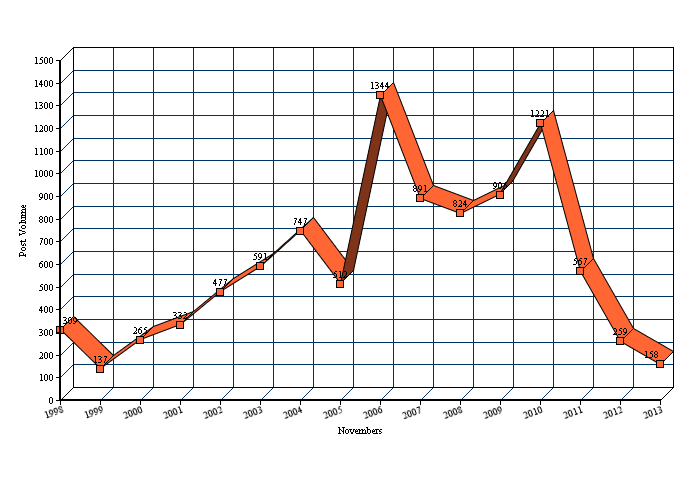 After peaking twice in 2006 and 2010, the MOQ community has steadily shrunk. Recent discussion and interest is a tenth of what it was at the peak, and much devoted to irrelevancies. Former group member Marsha V has received the blame, and has been removed "in order to give the list a fighting chance of resuming intelligent conversation that centres on Robert Pirsig's MoQ." It's unclear if that will occur, and if this center of discussion of a remarkable and independent work of philosophy can continue. It would be a shame if it didn't. I might not favor the MOQ as a way of understanding the world, but this is an amazing community that found its perfect niche. Who knows what might come of it? "Is it immoral, as the Hindus and Buddhists claim, to eat the flesh of animals? Our current morality would say it's immoral only if you're a Hindu or a Buddhist. Otherwise its OK, since morality is nothing more than social convention. " If that was written, then the entire understanding was flawed and it forms a wrong set of example to say the least. In fact, flesh eating is considered amoral only to an extent in Hinduism. Historically, you'll find the coastal and the himalayan Brahmins savouring on fish and meat (where the constant climatic change did not allow a full fledged agricultural farming), but even the otherwise low castes in the gangetic plains (abundant with vegetables, pulses and cereals) avoiding meat. So in a way, morality is actually determined by the natural habitat of the person... [This post should not be construed as showing or endorsing caste-ism].